Powered with twin 370hp Cummins diesels and loaded with optional equipment, this very roomy sport cruiser has both smart styling and a sturdy build. This yacht has the fuel range capability and efficiency to run fast and long while providing exceptional comfort for guests above or below. The cockpit and bridge deck are a full 11’ wide with generous amounts of room and seating with a walk-thru transom to the wide swim platform with boarding ladder. 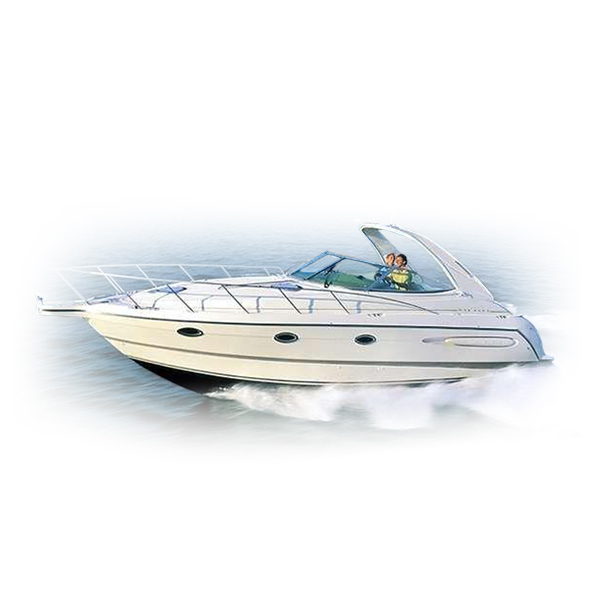 This wonderful long range sport cruiser has all the amenities and options for a fantastic weekend.